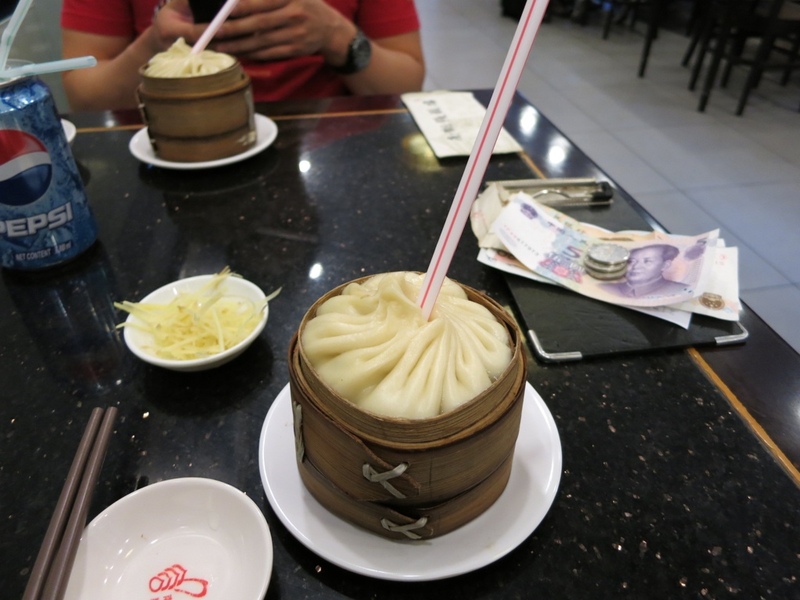 My friend told me about a soup dumpling restaurant in Shanghai where the meat dumplings filled with soup are so big they each come with their own straw. On our very first morning, we ventured off to the Old City District’s Yu Yuan Garden and Bazaar to find these dumplings. We first walked around the huge bazaar and came across a large food court with various dim sum dishes laid out. 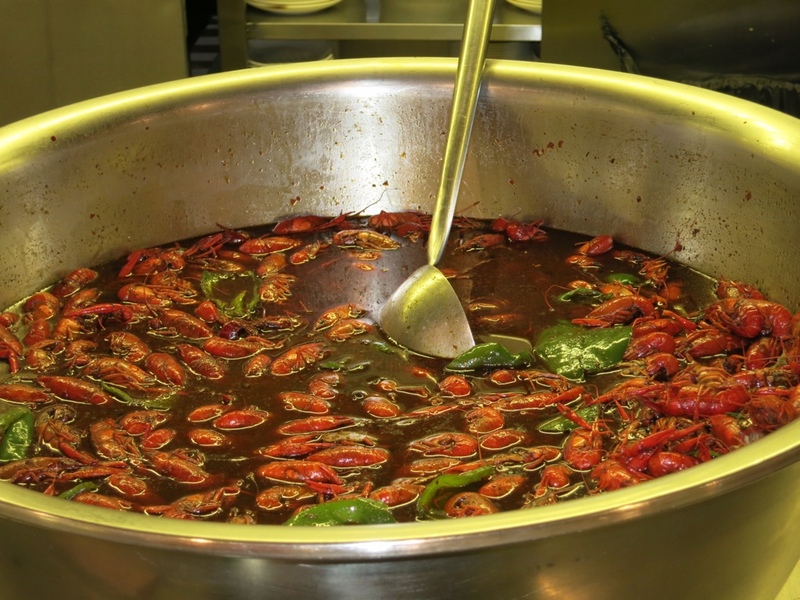 I was surprised to see crawfish…didn’t know this was native to China. 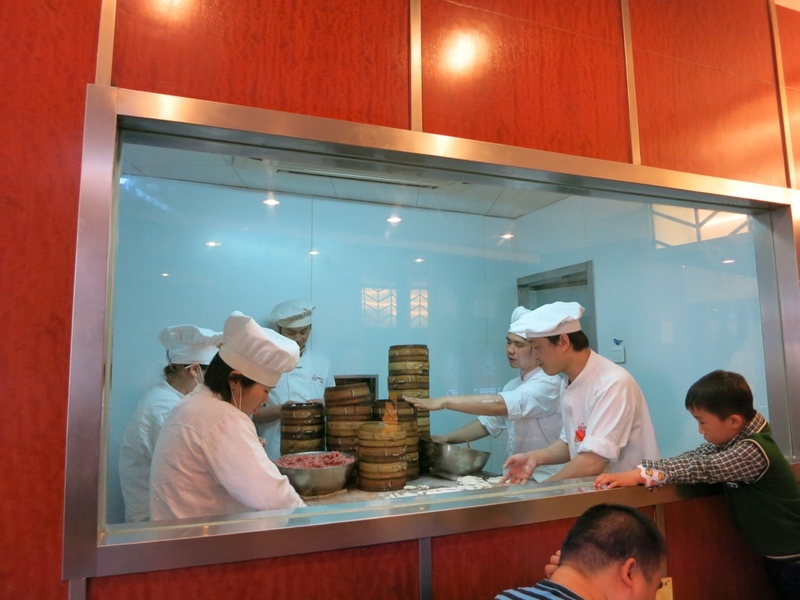 We finally found the restaurant Nanxiang Mantou Dian in the center of the bazaar by the pond and at around 10:30am and there was already a long line wrapped around one part of the gardens. I think this was for the to go line only and after walking up the stairs, we were able to quickly get a table. 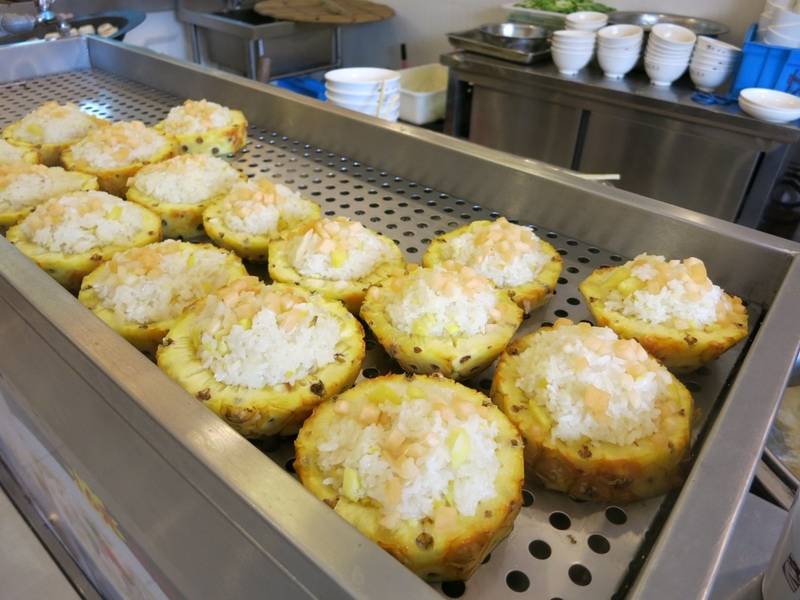 We ordered the huge straw dumplings with crab roe. It was tasty but more of a novelty. 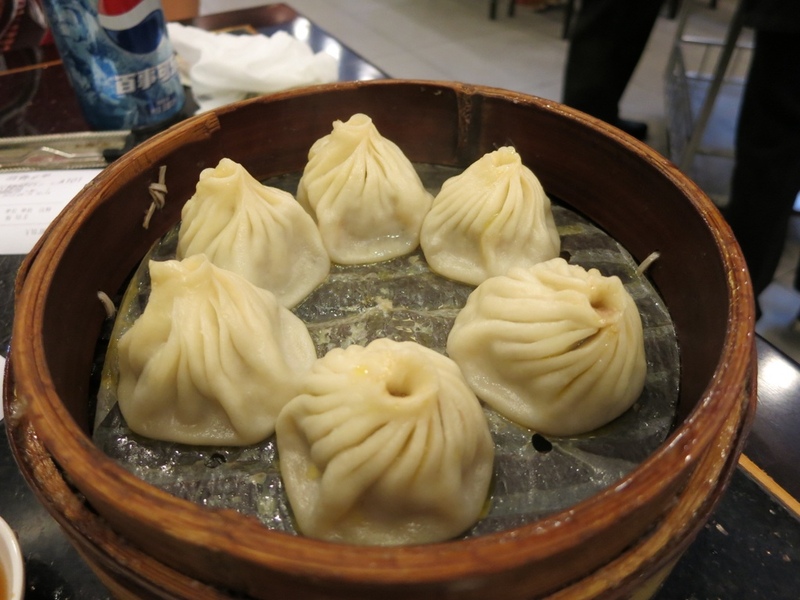 I actually enjoyed the regular sized soup dumplings more. 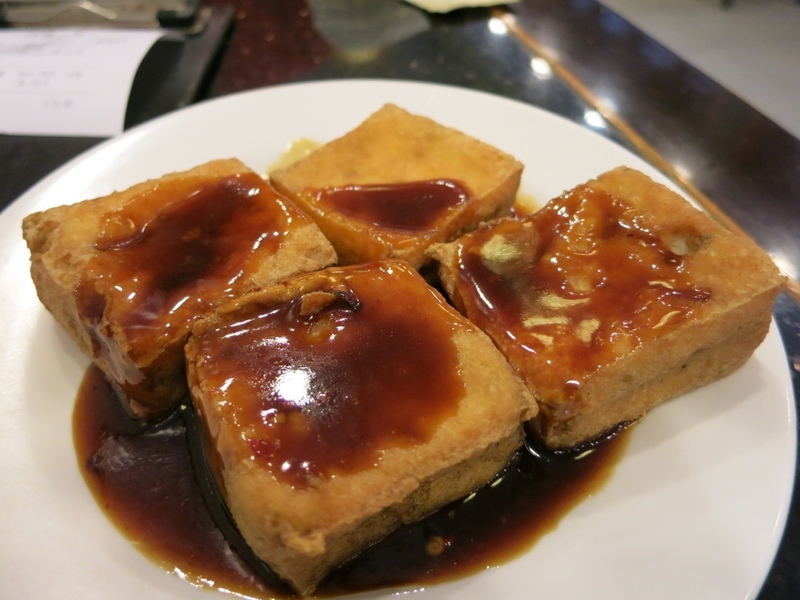 I also ordered stinky tofu and found the flavor a lot less stinky and more sweet compared to the variations I’ve had in Taiwan. Even the fiancé who hates stinky tofu agreed it wasn’t “stinky”.